Wanda Cinemas has been given the OK for an IPO in China in its second attempt. So much for all of our conspiracy theories that it would list elsewhere. Wanda Cinema Line Co. Ltd., a movie theater company controlled by Chinese real estate mogul Wang Jianlin, has received approval for a share-offering in China in which it hopes to raise up to 2 billion yuan (US$325.6 million). The listing approval was announced late Friday by China Securities Regulatory Commission. It comes as Wang, who Forbes magazine says is China’s fourth-richest man, prepares a huge initial public offering in Hong Kong for his real estate unit, Dalian Wanda Commercial Properties Co (IPO-DWC.SS). The NYT has a good thumbnail sketch of Wanda’s Chairman Wang Jianlin, who does not sit on the board of any of the soon-to-be-four listed companies that he controls. Investors in Chinese companies are accustomed to founders having controlling stakes and wielding enormous power. But Mr. Wang has no official role in Wanda’s commercial property division, which is planning to list a minority stake in Hong Kong, or in the upcoming offering of its mainland Chinese cinema business. He is also absent from the American theater chain AMC Entertainment, which Wanda bought in 2012 and refloated a year later, and from its Hong Kong-listed hotel unit. 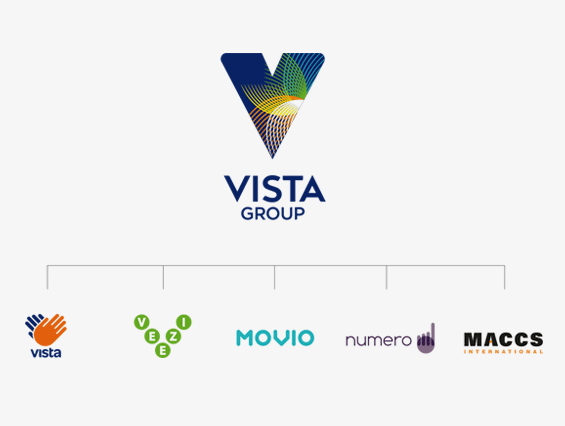 Vista has completed a major roll-out with one of China’s largest cinema chains – in record time. 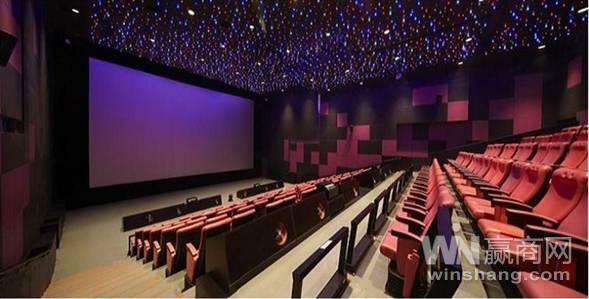 Cinema software company, Vista Entertainment Solutions has finished what they describe as one of the hardest projects the company has undertaken, rolling out 230 cinema sites across China in just six weeks. Vista chief executive Murray Holdaway said the project, which involved total travel time of 2,376 hours had gone extremely smoothly and he was proud to have set a new “global benchmark”. SAR Hong Kong – Cinema has been in decline in Hong Kong, mainly due to rocketing rents, but legendary actor/producer Raymond Wong is changing that with his cash injection into upgrading the Cinema City complex, run by his daughter. Cinema City Langham’s managing director , with more than 12 years experience in the film industry – Raymond Wong’s daughter – Miss Huang Yijun, said “the film is a creative industry, and the theater needs to bring creativity to the audience, who today don’t just go to the theater to “see” movies. There is also the three-dimensional nature whereby they must “enjoy” the movies. So our Flagship Studios by landmark environmental design, advanced projection equipment, a comprehensive computer system, and even theater food have spent a lot of efforts to improve the such as the award-winning architect Wang Shiwei invite the theme of “science fiction opera” to create a unique environment avant-garde design, in cooperation with the international trend of fashion brands iiJin unique style design staff uniforms. Huayi Brothers (Tianjin) Co., Ltd.
Seat selection and online ticketing is about to enter its “golden age” in China, according to this article. 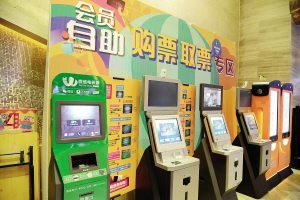 And it is attracting interest from a lot of major player keen to tap into the O2O (offline-to-online) market. Continuously appear on the market recently made two related financing transactions: June 16, Huayi Brothers announcement that is going to spend 266 million yuan, through its subsidiary Huayi Brothers (Tianjin) Co., Ltd. acquired blockbuster interactive entertainment network 51% stake . And by the end of June, Guevara also re-financing of 200 million yuan, and its C round of financing received nearly 400 million round of financing led side to the Chinese Cultural Industry Investment Fund. There can be no doubting the growth of the online ticket field. But there continues to be a fierce price war to attract buyers to particular online seat selection vendors. “19.9 yuan grab tickets to see Zhou Xun spoiled”, “100 000 10 yuan grab movie tickets to see Jiang masterpiece”, “buy one get one movie ticket free” Although the major online booking platform has been “occupied” cinema, but to each other the competition is fierce, most consumers ought to benefit from “cheap” strategy. Traditional buy movie tickets in different ways, another big advantage is that movies online ticket cheap. 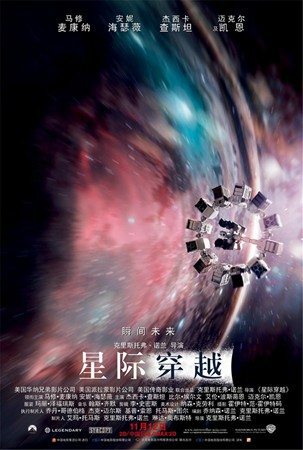 To currently released “Interstellar” for example, if the tickets through the traditional way to the scene, a 3D movie ticket price is about 120 yuan, and by the way movies online ticket purchase may be cheaper by half, only about 60 yuan . This article on the growing appeal of ‘private cinemas’ highlights the fact that most of the films on offer are illegally downloaded from the internet and have not been certified for official release in China. Interview that almost all of these hundreds of thousands of private theater department sources, but without exception, are the main foreign films, many can not be seen in the traditional cinema blockbusters can watch here. In THR’s roundup of the Mainland box office “Interstellar” continues to perform strong, having crossed USD $100 million, but local films are snapping at its heels. Roy Chow’s Rise of the Legend added another $12.21 million in its first full week to bring its cume to $25.69 million, while DreamWorks Animation’s Penguins of Madagascar added another $8.22 million to bring its cume after 17 days to $32.58 million. Not a week seems to go by without an article about upset cinema patrons being barred from bringing outside food into the cinema. This man with three children was stopped from bringing in fries and burgers from a nearby fast food restaurant, despite having also bought popcorn at the cinema, on account of the smell of the fries. The article ends, as always, with a lawyer interviewed about consumer protection rights. 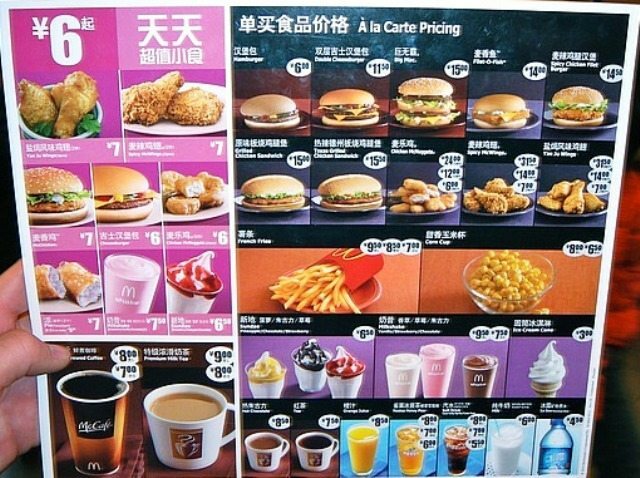 Mr. Zhang said that he was very understanding: Why can enter with popcorn, and chips can not take into account, “said tellers fries smell too, affect other customers, said fries bigger than popcorn smell? , he is working to mind the provisions Studios! “For this approach Studios, Mr. Zhang some angry, let tellers to find the person in charge. Soon, a man and a woman to two young people in charge. Upon learning of the situation, that male officials, who said it was Studios provides out to buy food can not be brought in, “he said from the beginning of the film as well as eight minutes, let the baby who ate french fries and then go outside to see movie. “Mr. Zhang was very angry, but I did not expect that male heads in order to prevent them from entering the body will actually block the auditorium with sliding doors. In desperation, Mr. Zhang had to let a friend put the bag of chips on the table in front of the theater, this into the auditorium. An impressive new five star cinema from Poly Films. (Win Business Network Yunnan station reported) at the end of this year, Chun Fat Land’s Riverside Plaza Chun Fat officially opened its doors, this is Chun Fat property opened in the year’s first commercial projects. As one of the major anchor stores of the project, as early as 2012 had been signed settled Poly International Studios , is still in renovation, according to the staff of Riverside Plaza Chun Fat introduced Studios is expected to be in April 2015 to May to opened. 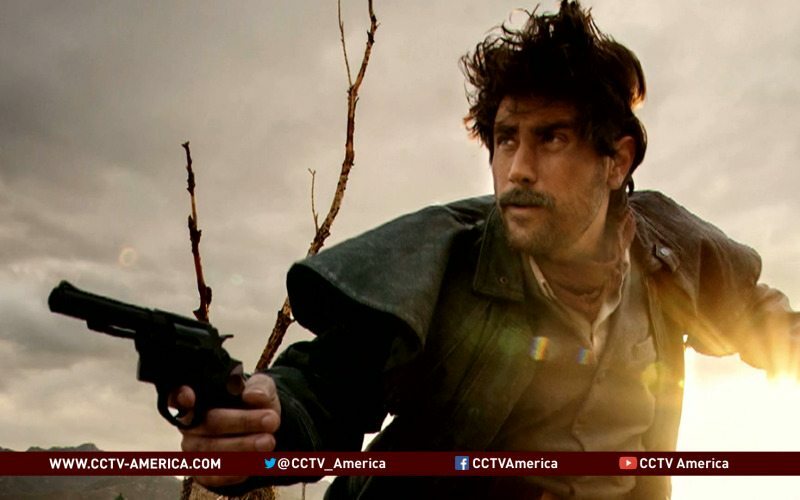 He is an American actor whose films have outperformed those of Brad Pitt and Tom Cruise in cinema in China, though chances are you’ve never heard of him. Jonathan Kos-Read, or “Cao Cao,” came to Beijing after studying acting and Chinese at New York University. After a stint as an English teacher, he saw an ad in a magazine for a foreign actor and replied. Although actors create illusions, there’s one thing he couldn’t fake — fluency in Mandarin. Over the last 15 years, he has performed in more than 100 Chinese films and TV shows.